40+ pages loaded with information, to help you to understand and successfully navigate the winding maze of facebook in support of a profitable social media marketing strategy. 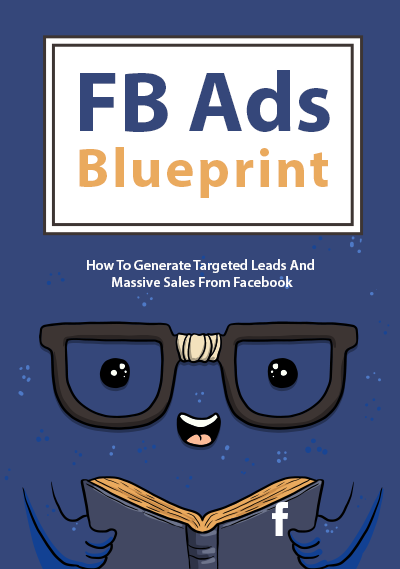 Get started right with the Facebook Ads Blueprint today! FACEBOOK has been a vital resource to businesses and marketers alike for many years now and this trend shows no sign of slowing down. Facebook is still one of the best resources out there for businesses when it comes to marketing their business and growing their brand. Most people now expect a business to have a presence on FACEBOOK, in fact for most people its one of the first go to resources when it comes to looking into products or services (after checking out the business website) If you don't already have a FACEBOOK page for your business then I strongly recommend you fix this oversight as soon as possible otherwise you are cutting yourself off from a wonderful marketing resource that could bring you in hundreds of customers each and every month. If you are unsure of how to set up a Facebook page for your business then there are hundreds of great websites, video courses and training guides that can take you through the process step by step. FACEBOOK has changed a lot since it was first used as an advertising tool for marketer and it is continuously changing, so you need to keep on top of these changes to make the most of it for your business. The great news is that all the most recent changes have made Facebook an even better marketing resource for your business and marketers are seeing amazing results from FACEBOOK Ad campaigns. Researched and written by some of the leading experts in the field. Compiled, edited, and expanded by Rev. Stephen B. Henry PhD., known online as the WordPress Wizard. Steve is a published author, blogger, online presence developer, profession business mentor, and owner of WizardsPlace (https://wizardsplace.com/), a WordPress information and support site. You know you are getting top level information in this ebook. This Item For Personal Use Only.